Experience The Lifestyle of Your Dreams in Dos Vientos Ranch. Nestled amid the rolling hills of Thousand Oaks and set against a stunning backdrop of the Santa Monica Mountains, this 2,300-acre community offers wide open spaces and soothing ocean breezes, creating an unparalleled sense of serenity. At completion, Dos Vientos Ranch will offer miles of hiking, biking, and horseback trails, a day care site, an elementary/middle school, over 50 acres of maintained parks and ball fields. In addition to these enhancements over 50 percent of the total land mass will remain preserved in its natural, pristine state. Located approximately two miles south of the 101 freeway, this much sought-after community is located in the desirable Conejo Valley. It is close to upscale shops, a host of restaurants, California Distinguished Schools, several highly rated colleges and Universities, and a vast array of arts and cultural opportunities. Click here for a map of the community. The Humphrey Team is pleased to provide you with the most convenient and comprehensive online source for all Dos Vientos Real Estate. Search for homes with our convenient online property search tool and be sure to check out our Featured Properties, all of which are Humphrey Team listings. You will find that this one-of-a-kind masterplanned community offers the perfect home for every kind of buyer, from move-up family homes to luxurious custom estates crafted by California's leading home builders. Feel free to browse through the desirable communities of Haciendas, La Entrada, Treasures, Harvest Moon, Heritage,Traditions,Virazon, Villa Serrano, Cielo Real, Las Brisas, Palermo, Monterey, and many, many more. You will also find plenty of helpful information for both Buyers and Sellers, including mortgage services, free email updates, and relocation information. Sellers can find helpful staging and marketing tips as well as help in determining their home's value. Dedicated to your success, The Humphrey Team will provide you with the most pleasant and profitable real estate experience in the industry. Click here to meet The Humphrey Team. The Humphrey Team is the sole owner of the information collected on this site. Neither The Humphrey's nor the team associates will sell, share, or rent this confidential information to others. Your privacy is the primary issue for The Humphrey Team. By submitting personal information such as name, address, phone number, email address and/or additional data, the real estate client/prospect consents that The Humphrey Team or his authorized representative may contact client/prospect by phone, U.S. Postal System, or e-mail whether or not client/prospect is participating in a state or federal or other "do not contact" program of any type. 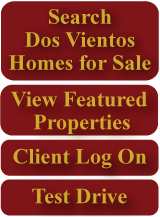 Latest Listings: Get The Humphrey Team's latest Dos Vientos listings of homes for sale first! About Avignon: Moving to Avignon in Thousand Oaks City of Ventura County, California? About Cielo Real: Moving to Cielo Real in Thousand Oaks City of Ventura County, California? About Concerto: Moving to Concerto in Thousand Oaks City of Ventura County, California? About Estancia: Moving to Estancia in Thousand Oaks City of Ventura County, California? About Gallery: Moving to Gallery in Thousand Oaks City of Ventura County, California? About Haciendas: Moving to Haciendas in Thousand Oaks City of Ventura County, California? About Harvest Moon: Moving to Harvest Moon in Thousand Oaks City of Ventura County, California? About Heritage: Moving to Heritage in Thousand Oaks City of Ventura County, California? About La Cresta: Moving to La Cresta in Thousand Oaks City of Ventura County, California? About La Entrada: Moving to La Entrada in Thousand Oaks City of Ventura County, California? About Las Brisas: Moving to Las Brisas in Thousand Oaks City of Ventura County, California? About Lucera: Moving to Lucera in Thousand Oaks City of Ventura County, California ? About Monterey: Moving to Monterey in Thousand Oaks City of Ventura County, California? About Oak Creek Canyon: Moving to Oak Creek Canyon in Thousand Oaks City of Ventura County, California? About Palermo: Moving to Palermo in Thousand Oaks City of Ventura County, California? About Quintana: Moving to Quintana in Thousand Oaks City of Ventura County, California? About Traditions: Moving to Traditions in Thousand Oaks City of Ventura County, California? About Treasures: Moving to Treasures in Thousand Oaks City of Ventura County, California? About Villa Encanto: Moving to Villa Encanto in Thousand Oaks City of Ventura County, California? About Villa Serrano: Moving to Villa Serrano in Thousand Oaks City of Ventura County, California? About Virazon: Moving to Virazon in Thousand Oaks City of Ventura County, California? About Vizcaya: Moving to Vizcaya in Thousand Oaks City of Ventura County, California?